Cancer is no respecter of persons. Anyone can be diagnosed with the often deadly disease which is commonly misunderstood, misrepresented, and adversely affects the African American population at a rate faster than any other ethnicity. Women, children, the elderly, middle-class or wealthy, and the ever growing populous of impoverished Americans are all targets. Being an African American cancer survivor has offered me immeasurable insights, but the most valuable is that most African Americans are deemed less educated regarding preventive medicine (and cancer), we embrace poor dietary habits due to cultural influence, and have limited, if any, financial resources to seek specialized medical attention. 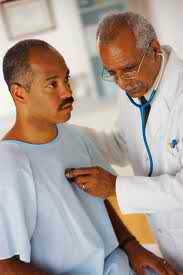 For the latter reasons and more, African Americans are more likely to be stricken with cancer and subsequently die. Let’s face it: black folks just don’t like going to the doctor (Period). We remain on the low-end of statistical data and have become apt subjects for clinical-terminology like: socio-economic status, at-risk, target-market, and we are perpetually, all things urban. If we must suffer labels or own a moniker, I elect myself Premier Warrior of African American Cancer Awareness. I proudly report for duty to educate my masses. My first mission is to kill the messenger. Television is the biggest dispatcher of African American cancer-myths. 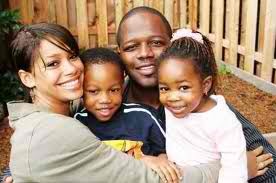 While it is entertainment for many & life support for others, too may African Americans think TV is gospel truth. I don’t mean C-Span, I’m talking drama. Marcus Welby, M.D. 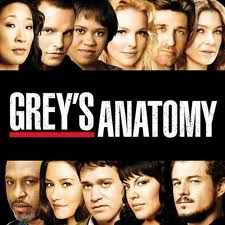 led the movement, then passed the torch to a more hip and current Grey’s Anatomy and Hawthorne. Great programming, but cancer – diagnosis to treatment – is satirically depicted. Prime-time dramas feature a family huddled in a waiting room while Doctor Hottie escorts them to a state-of-the-art bedside where the patient in pain is passionately told, “I’m so sorry. We found cancer,” (as he lovingly rubs her hand). The family cries but declares, “We will beat this.” In the next scene, the patient is bald – preparing to run in a marathon – and the physician stands at the finish line cheering, along with nurses, administrators, hospital custodians, and a priest. Fade to black: Cancer found me when I was teaching English in New Jersey. My family was U.S. scattered. Admittedly, I was no stranger to health crisis, but wasn’t in any overwhelming pain. Note: pain is rarely cancer symptomatic. A tumor was identified as an incidental finding on a CT scan during a random ER visit. I was very “matter of fact” informed, and it took three months to confirm final diagnosis. Meanwhile, I’d relocated to North Carolina to be near my only daughter, endured multiple diagnostics, specialist visits, lost employment, suffered split nerves, and literally raped the internet doing research. Still waiting on that handsome physician to surface. Fact-based education is important. Urban legend, beauty shop chatter, and what happened to Auntie Weezie are not fair barometers as every cancer case is different. Smoking tobacco is harmful to your health and may lead to cancer; the Surgeon General can be trusted, and so can reports on preventive medicine (mammogram, colonoscopy, prostate exams, etc.). View informative television and please READ. Life-saving treasure rests between the pages of periodicals, books, and newspapers. Don’t seek to beat cancer; live to avoid diagnosis.